Apart from opening locked doors, the role of a locksmith is to plan, sell and install locks. A modern-day locksmith’s specialism may include CCTV and other sophisticated means of security. They will also perform any necessary maintenance duties on locks and security systems and provide quotes to clients looking to purchase them. In the UK, locksmithing is not regulated by the government and prospective locksmiths require no licence in order to work. However, because the work of a locksmith is security-focused and often necessitates entry into customers’ homes, locksmiths need a Disclosure and Barring Services (DBS) check. Business owners are regularly faced with a large number of obstacles to work through and decisions to make. This is often considered to be one of the paramount goals of workers around the globe today as opportunities are often limitless whenever the business is actually run in a successful manner. Anyone considering this process for their need should know what to consider when owning a locksmith company in a successful manner. A locksmith company is the professional called upon to address any lock and key issues that consumers may be dealing with. These are the professionals called upon to provide access to any locked door or device that one has lost the combination or key to which can be complicated and stressful for the consumer to deal with. Any professional that owns their own business in this sector of service has ample amounts of opportunity for success. 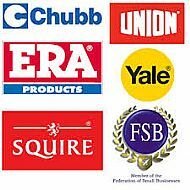 Professionals locksmiths are able to partake in successful business ownership within the area. Competition within this industry is known to be fierce as this specific service offering is highly focused and specialized for consumers that take advantage of it. Professionals looking to make this process simple and successful are able to do so when following a few basics principles of success. Training , should be kept current and refreshed throughout the entire ownership process. This is an industry where training must be continual and renewed during certain time frames in order to demonstrate mastery of the industry and all processes required for professionals. This is aimed at ensuring the entire business is as reputable and marketable as possible. Be Available, Dont advertise 24hrs service if your phone is turned off at night, if your turning work down its bad, get the contact details of a good locksmith and become freinds with him, if you can do the job or are to busy then pass the job over to him, and he,ll pass work back to you. Hours of operation, locksmiths should be capable of being offered on an around the clock basis. Most professionals that own their own business in this service provision category maintain dedicated office hours while still providing emergency and on call services after hours. Offering mobile services to people in need is also a major strategy of competition in this industry. Dont turn up late, folk dont like to be kept waiting, idelly get there early, customers remember if they are kept waiting, if you are going to be late then ring ahead and keep the customer informed. Pay close attention to how well inventory is controlled and managed, There are very specific parts and tools that are used by professionals in this industry that can be quite expensive to keep up with and maintain. Keeping a close tab on these parts and tools helps keep the cost of operating as inexpensive as possible. keep your stock upto date, make sure you have enough locks on your van to do the job there and then, dont have to go off and purchase the lock while your on the job, it don,t look good. Carry a varied sellection of nightlatches and euro locks 30/30 35/35 40/50 45/50 and the oddballs 60/30 70/30 carry one each of the oddballs and 4-5 each of the others.as for mortice locks, theyre usually 2 1/2 inch size, so carry more of them than the 3 inch size, try carry different makes, Chubb, Era, Secrefast, etc, as some of these have the keyway slightly different to others,and altering it is a right pain or theyre slightly thicker cased, again a bit of a pain to start widening the mortise. A great marketing strategy, is a big consideration in successfully owning a locksmith business. get your name out and about as much as you can, search engines, yahoo, Google, Bing etc, Reaching consumers to let them know about products and services is one of the main aspects of success when owning a business. There are an amazing number of options available for affordable ways in which consumers are able to be reached as necessary, it used to be that a locksmith company went straight for advertising in the thompson local or yellow pages type of directories, but nowadays with the advent of the internet more and more people are using mobile phones with internet access, well if your locked out, the telephone directories are gunna be locked inside your house, so it pays to have a really good and interesting, upto date website and get it out there on as many search engines as you can. Tool Advice, always get advice of another locksmith or a forum before you dive in and buy the latest locksmith tool, it might be rubbish and someone else might of bought it first, same with decoders, unless your doing warrent work were you might be using them daily, dont bother , they,ll be sat at the back of your van, not being used, get practising with a curtain pick instead. Be wary of nationals, if you work for a national, be wary of them, they can be a good way for a newbie to gaining experience, and you can steal some of their customers , by leaving cards, but know when its time to leave, they,ll start messing you about with payments or sending you on further and further jobs, if that gets to be the case then leave and go on your own and use the experience you,ve gained to your advantage. 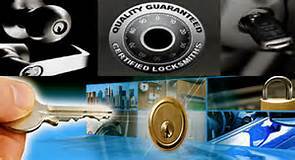 We here at www.locksmithtrainingmerseyside.co.uk advise on building up a locksmith business as part of our courses, if you want any advise then get in touch and we can steer you in the right direction.